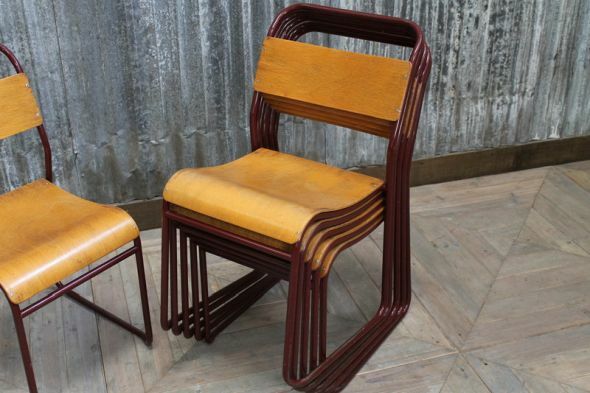 These stacking dining chairs come from our huge range of vintage stacking chairs. With the chairs being easy to stack out of the way, they are ideally suited to restaurants, bars and cafes. 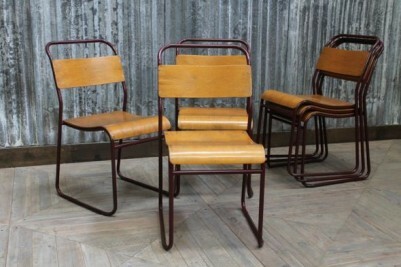 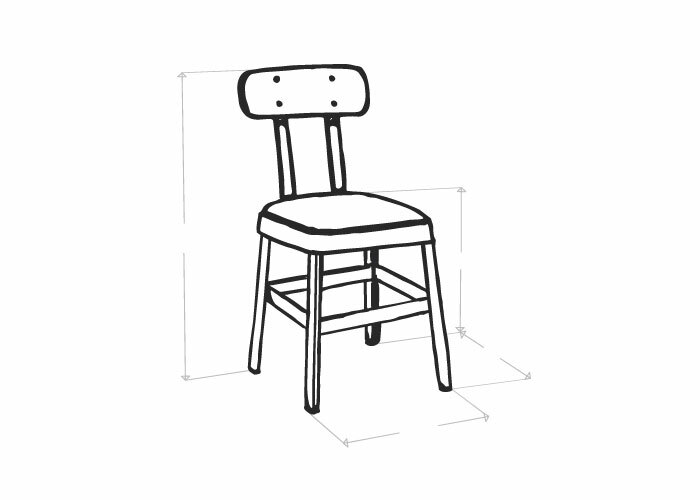 The chairs are practical, as they can be quickly moved for cleaning, or stored when not in use. This particular stacking chair model has a lovely burgundy frame colour and a plywood back and seat. 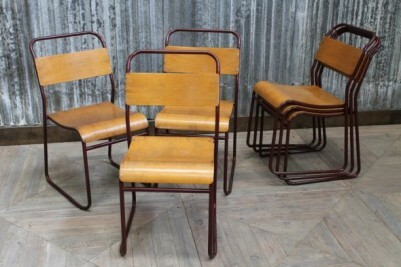 We have a range of 100s of original stacking chairs. 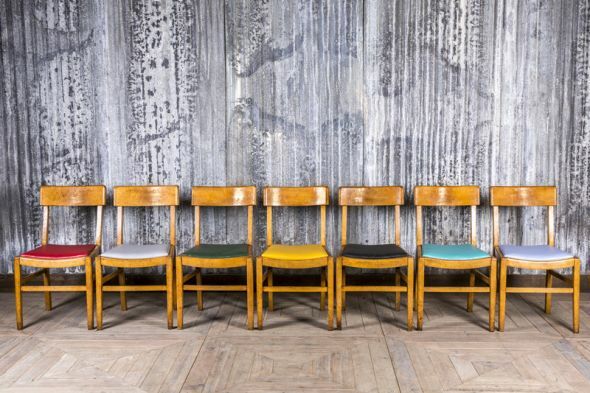 Our chairs are available in a variety of colours and styles – see the full collection in our showroom or on our website. 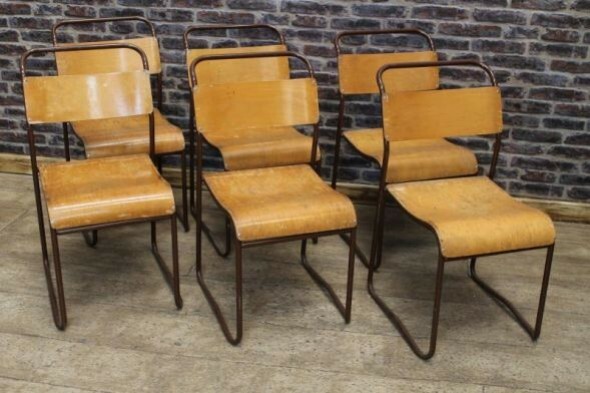 As these chairs are over 50 years old, they will have some signs of wear; however, they are otherwise in good condition. 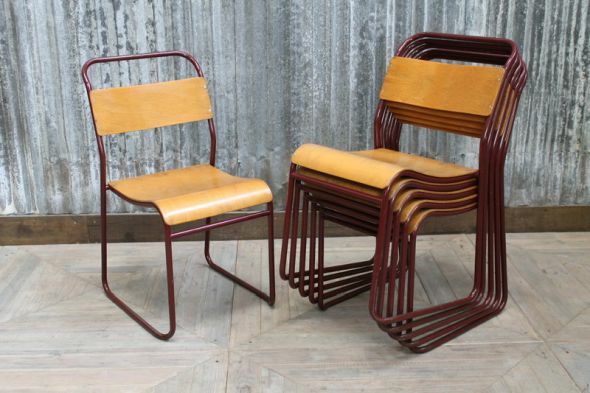 The price is for one chair, but you can buy them in a larger quantity if required.